One thing I have tried to do consistently is make my process and tools available for other artists to learn. I’d much rather help other people than keep my process to myself! 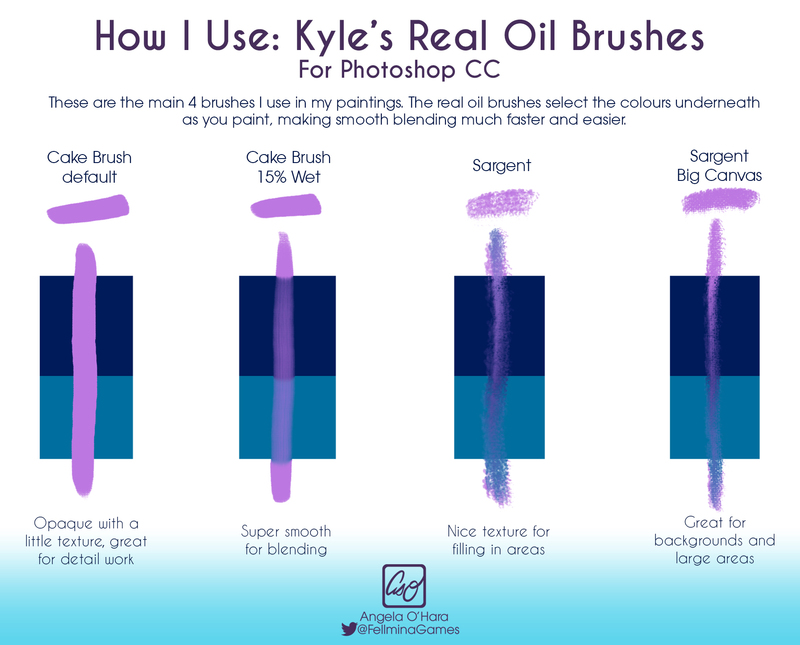 These are the 4 brushes I’ve been using consistently in my work lately. All of these brushes are free with Photoshop Creative Cloud. They’re all here, and contained within the Megapack!